Mineral resources is important for economic growth. Many countries have been extracting their minerals and have done numerous mineral explorations, and established mining operations in other nations to cope up with the market demand. 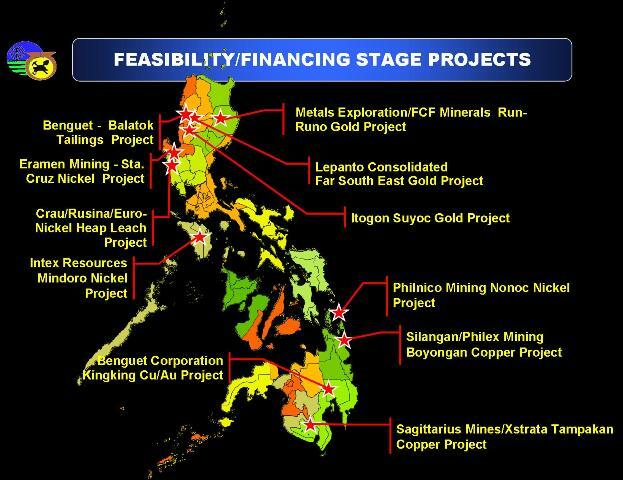 The Philippines is blessed with these mineral resources and various mining companies have invested in the country to extract it. The Philippines is the fifth mineralized country in the world. With this ranking, it is safe to say that we are rich country in terms of mineral deposits. There are thirty large mining operations in the country. They are all under the Mineral Production Sharing Agreements (MPSAs) entered into the government. According to Benjamin Philip G. Romualdez , the President of Chamber of Mines of the Philippines (COMP), the Philippines potential mining wealth is estimated to reach $840 billion (P47 trillion) or 10 times the country's annual gross domestic product. According to their data, the Philippines ranks third in total gold deposits, fourth in copper, fifth in nickel, and sixth in chromite. The country has 8.03 billion tons of copper, 4.91 billion tons of gold, 0.81 billion tons of nickel, 480.26 tons of iron, 39.66 million tons of chromite, and 433.88 million tons of aluminium. Places like Palawan, Surigao, and Tampakan in South Cotabato are abundant with these resources. 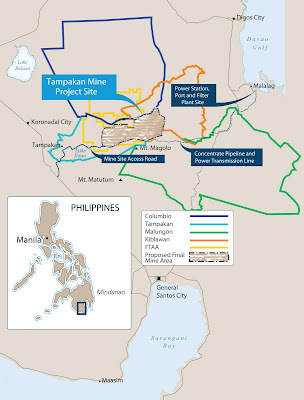 The mineral resources found in Tampakan is the biggest source of untapped copper and gold resources in Southeast Asia. 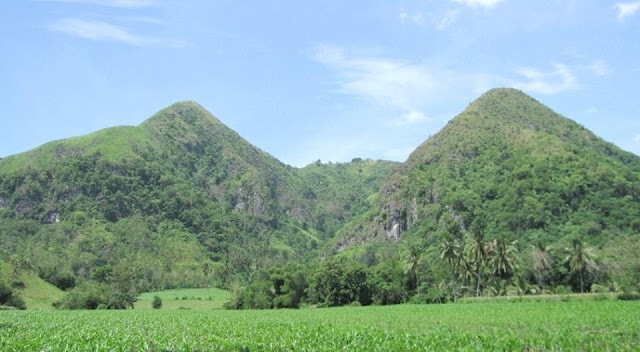 Tampakan is a 4th class municipality in the South province of South Cotabato. Its population according to the 2000 census is 33,011. Tampakan has 14 barangays, namely --- 1) Santa Cruz 2) Poblacion 3) San Isidro 4)Maltana 5)Kipalbig 6)Buto 7)Cambayong 8)Liberty 9)Lampitak 10)Pulo 11)Donlag 12)Pula Bato 13)Albagan 14)Tablu. Tampakan is blessed with agricultural and mineral resources such as corn, banana, pineapple, gold and copper, forest products and fiber, woodcraft bamboo and rattan. 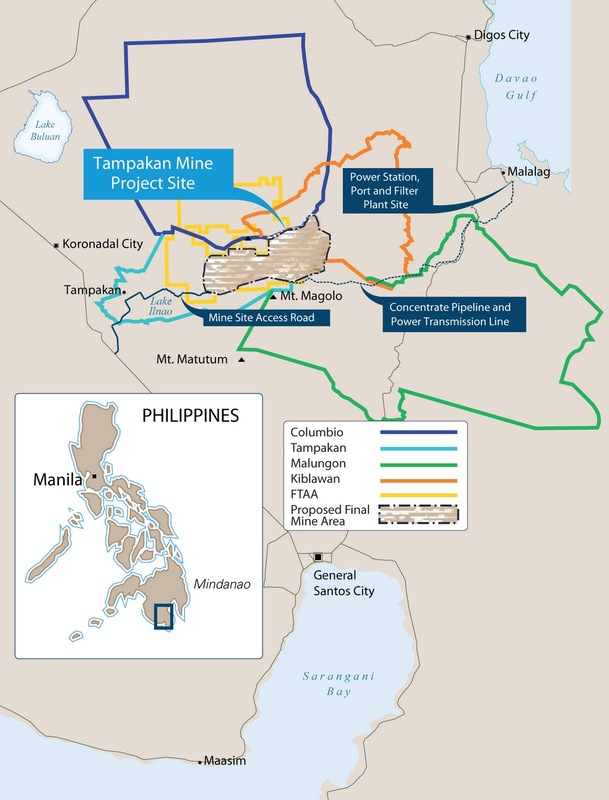 With Tampakan's big deposit of mineral resources, it is no surprise that many foreign investors are eyeing on it. Sagittarius Mines Inc. (SMI), a local company that has global mining player Xstrata Copper, based in Brisbane Australia, and its partner Indophil Resources NL, invested in this multi-billion mining project. 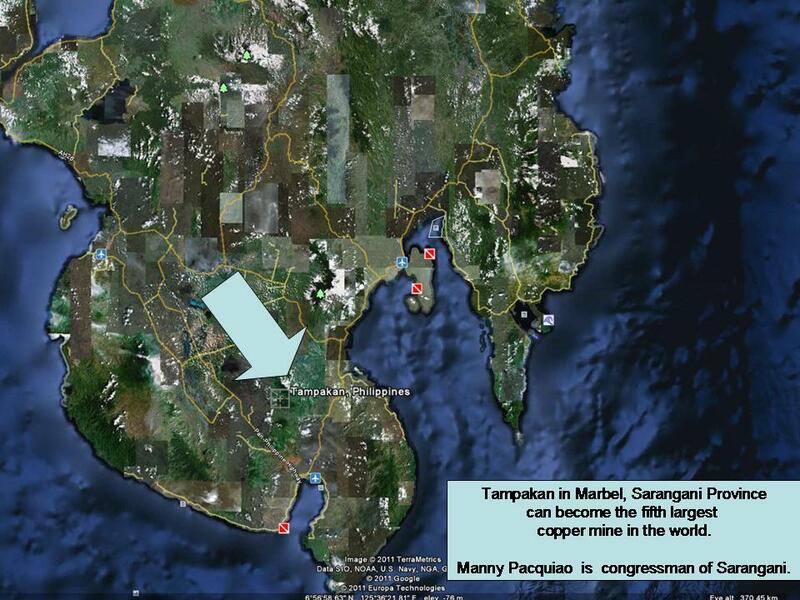 It is a $5.9 billion Tampakan Copper-Gold prospect and it is estimated to contain 13.5 million tons of copper and 15.8 million ounces of gold, at a grade of 0.6% copper and 0.2 grams per ton of gold. SMI is looking to begin producing copper and gold at Tampakan by 2016 (3). There are three types of mining --- Surface mining, Underground mining, and Glory Hole mining. 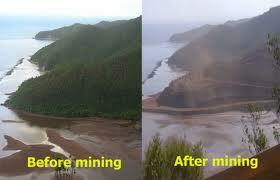 Open-pit or Open cut mining is classified under Surface mining. Open-pit mining is method used primarily for working large mineral deposits. Most open-pit mining requires blasting and the use of heavy machinery, particularly power shovels. 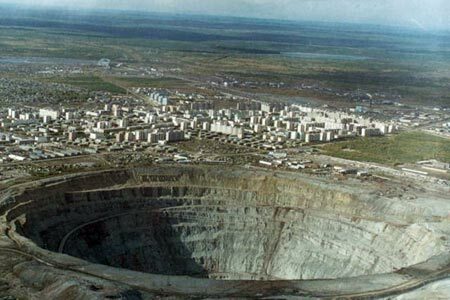 Its mining proceeds, a wide and deep pit with step-like side is created. The steps, called benches, serve as platforms for the operation of excavating machines and the loading of tracks or rail cars (4). According to Indophil Resources NL, this type of mining technique is suitable for extraction of big mineral deposit in Tampakan. Could help spur economic growth in the country by attracting new investments, creating jobs and reducing poverty. Mining companies just had to adhere to responsible mining practices that placed great emphasis on environmental protection and preservation and social equity. The copper-gold mine was also projected to generate $37 billion in export earnings and 7,000 full time jobs based on SMI data. During the construction period, the project could provide employment to as many as 10,500 people, the majority of them are members of the host communities. In an PhilStar article written by Carmen N. Pedrosa, it stated that Tampakan mining project would be the biggest single investment in the country’s history. If all goes well, it would boost foreign direct investments. Environmentalist and other concerned groups are advocating the disapproval of the mining operations in Tampakan. They are aware of its environmental damages and its socio-political implications. Furthermore, Goodland and Wicks was also concerned about the mining location. 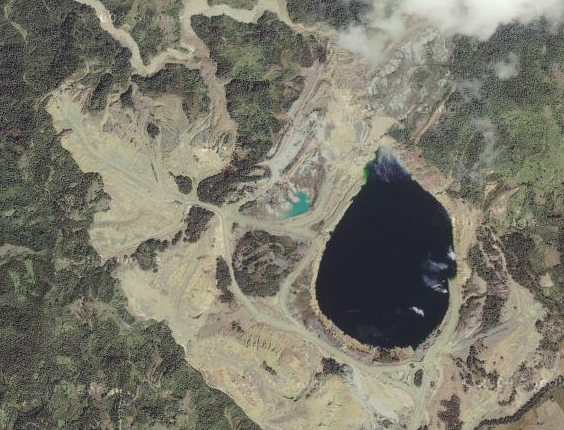 According to Wicks, the mine area is on top of stratovolcanoes and fault lines, some of which cross each other, and is located in an area of high seismic activity, in which SMI plans to build large dams and a rock storage facility for 1.6 billion tons of toxic rock that are highly susceptible to breakage and disasters. The Center for EnvironmentalConcerns Philippines released the Salient Findings of the Environmental Investigative Mission (EIM). These are based on the EIM team’s interviews, focus group discussions (FGDs) and field visits. FGDs were conducted with the sectors vulnerable to the impacts of mining operations in Columbio municipality: peasants, irrigators, fisherfolks, women, residents and indigenous peoples, particularly the Blaan tribe. Interviews were also conducted with some key local officials. Mining in the Philippines has many complicated issues in the sense that you would only get a headache. The existing national and local laws with regard to mining overlap each other. If we fail to learn from other mining operations in the country, we may repeat its disastrous outcome. As the well tried and tested truism says: those who refuse to learn the lessons of History are doomed to repeat them.